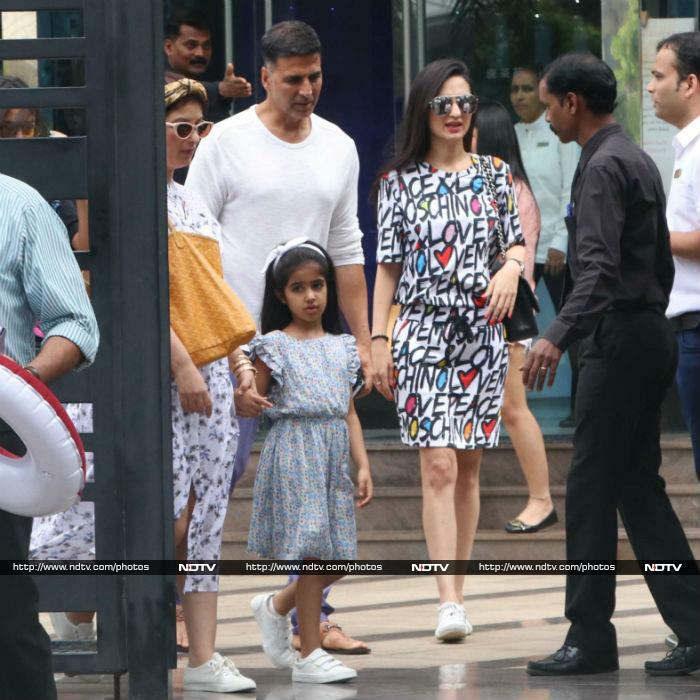 Akshay Kumar took his wife Twinkle Khanna and daughter Nitara for a lunch date on Sunday to a suburban restaurant in Mumbai's Bandra. They were accompanied by Twinkle's friend Anu Dewan and her family. Baby Nitara was photographed with mom Twinkle and Akshay followed them. The mother-daughter duo were twinning in different shades of white and wore similar sneakers. Nitara smiled for the cameras before taking a seat in the car.